I have to say that this song is a reminiscent of Bang YongGuk’s ‘I Remember’ (except featuring the whole group). It uses the similar style of a slow, rock beat verses a piano melody, except with this song, there’s more electronic sounds involved. As a fan of ‘I Remember’, i’m glad that they did a song similar to that. After hearing Dae Hyun sub in for Yoseob’s part in their showcase, there was no doubt that this group could pull off the same rock ballad style. The song also consists of a electric guitar solo, clearly signaling the direction of this song. I have to say this is one unexpected song from the more rocker/hip-hopper B.A.P. This song is half a mile from their usual style, though it goes well with their pop-boys concept. 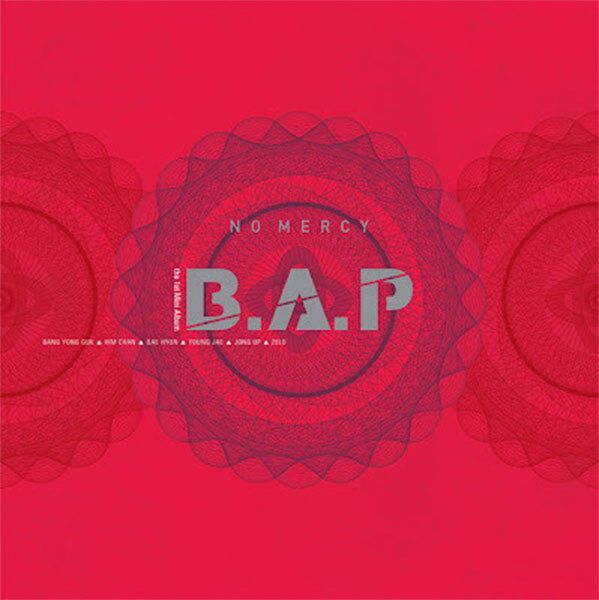 The only similarity between this song and ‘No Mercy’ would be the anthem style parts where a lot of people sing together, though you can hardly call it similar. Either way, the boys show off their versatility with a pop song compared to their usual styles. Nevertheless, hearing and seeing them perform this song might be a whole different thing, because I don’t think I could imagine them skipping around to this song. This song would be the ballad of the album. The song is practically something out a drama, music arrangement, melody and all, and to be frank, isn’t the best song of the album. It’s true that dance tracks are difficult because you need to dance around while singing and that is not something achievable overnight. Nevertheless, to me, the hardest kind of track to do would be a ballad. Let’s not even talk about doing a ballad live, when even doing it in a recording studio is difficult enough. Maybe you can show your emotions through your facial expressions or eyes during live performances, but when it’s over a CD, it’s just your voice and the listener. The only idols (i’m talking about idols only) that have really been able to achieve that are Yoseob (Beast), Cross-gene (no kidding, well, maybe not the entire group), JYJ… just to name a few. These idols have the ability to portray feelings and emotions via their voice, and when a ballad song has that, it becomes more than a ballad song. B.A.P has shown as in ‘Secret Love’ that they have the potential to do ballad, however, this song wasn’t it. In fact, the rapping (ironically) became the highlight of the song. I’m so not talking about technical skills here, because the boys no doubt have it, but a ballad song needs more than technical skills to shine.